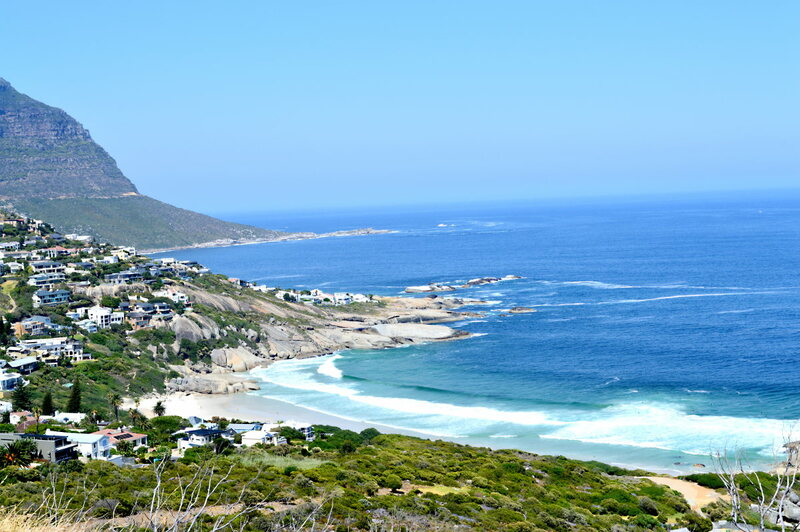 The coastal road from Camps Bay is the only way you can reach Llandudno and what a ride it is. It may only be a fifteen minute drive, but on a road with the mountains to the left and the oceans stretching away into the blue yonder on the right you'll feel your spirits soar long before you arrive. If you're lucky you may even see whales splashing about out in the sea below. It seems incredible that a city of three million people is just behind you - it feels a million miles away. To be able to leave the cares and stresses of the city behind so completely and enter a world of such outstanding beauty is something I've never experienced in any other big city to this extent. I only hope the good people of Cape Town appreciate how lucky they are. Except for the spectacularly located Twelve Apostles Hotel (great place to stay if you've got the money), and a few small cottages, there's nothing else on the drive, only nature at its most awesome. 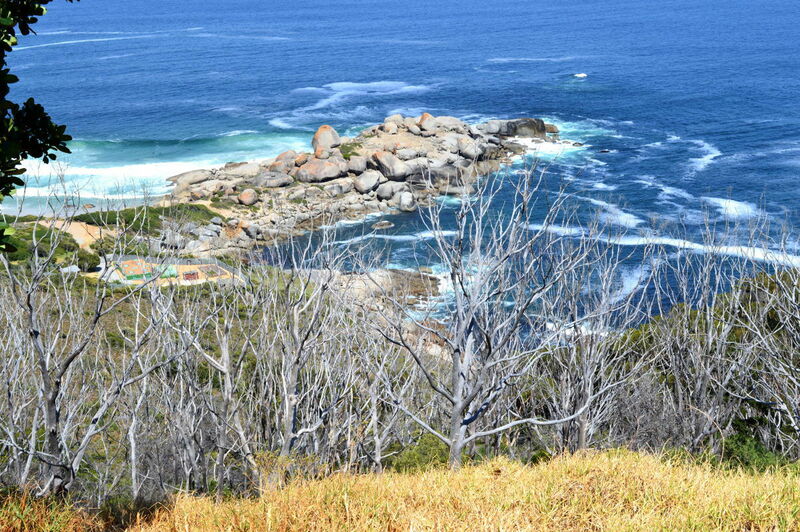 As you turn-off to the right from the Camps Bay to Hout Bay Road this is the view of Llandudno that awaits. Makes you want to get down to the beach doesn't it? 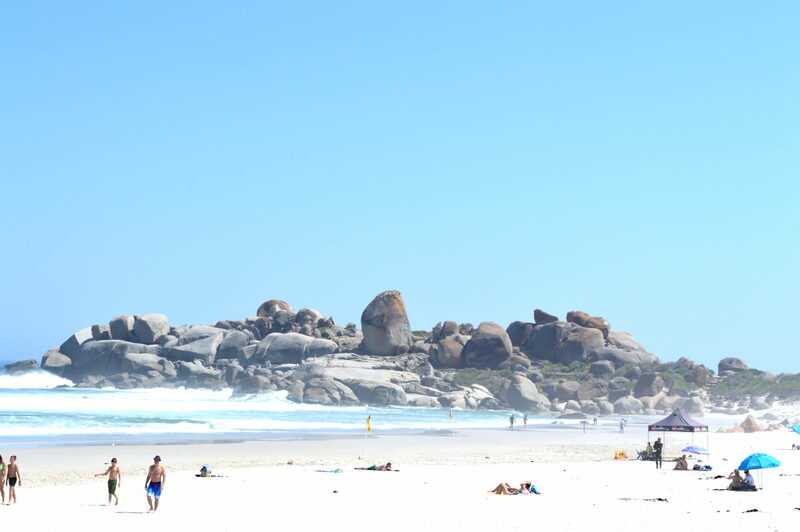 The main beach in Llandudno Cape Town. Even on a beautiful day, at the height of summer, it is seldom more crowded than this. I guess it is because parking is limited to twenty cars and there are no restaurants or bars anywhere nearby - a few toilets are the only facilities. If the sun gets too hot you can find shade in the forest behind the beach or take a dip in the refreshingly chilled waters of the ocean. It is so chilled that I'm in and out after about a minute... feeling like I've just been to Antarctica and back. For those who really need to let it all hang out and get an all over tan then you're in luck! 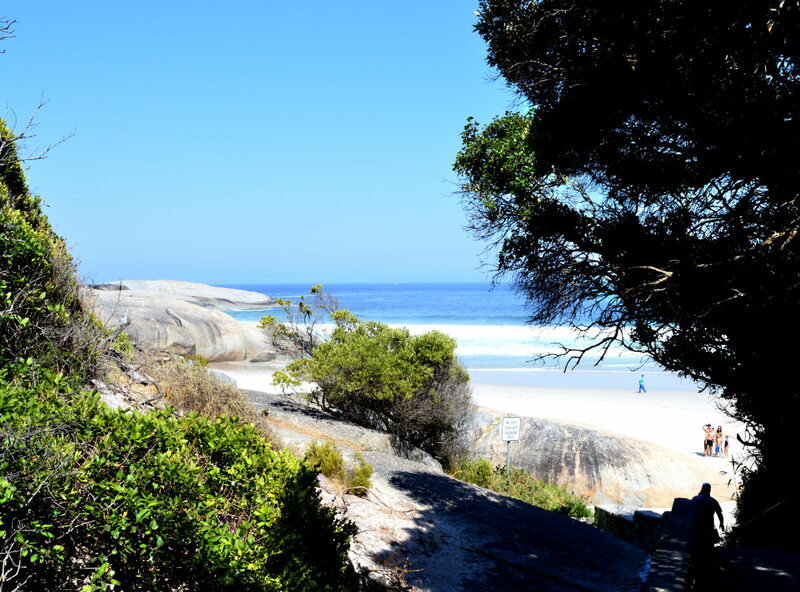 Llandudno has Cape Town's only nudist beach - Sandy Bay. It's a beautiful beach but I couldn't take any photos because of all the people with no clothes on giving me funny looks. To get there take the path from the parking area and walk for twenty minutes.